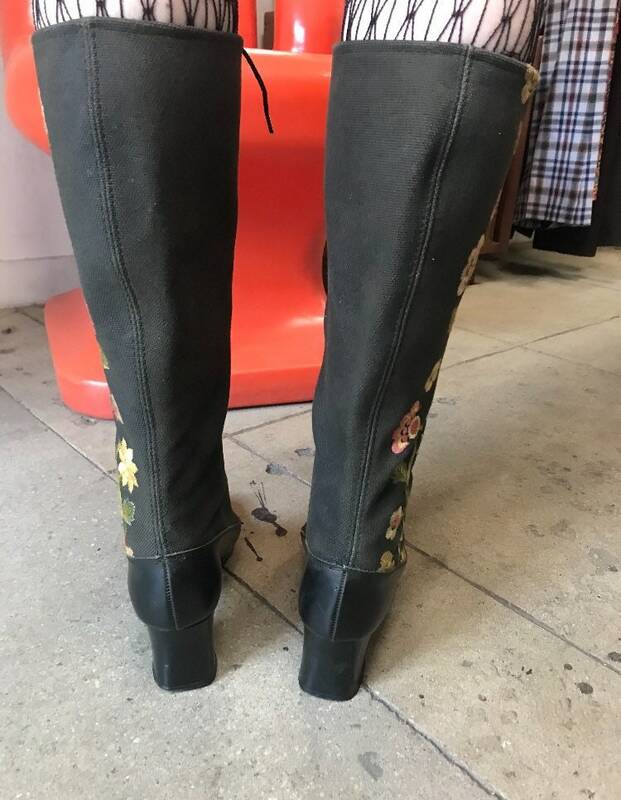 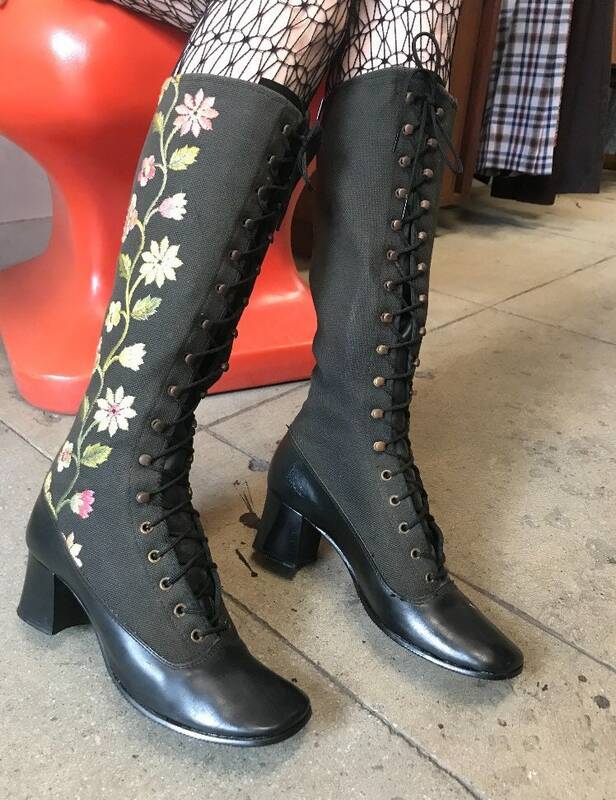 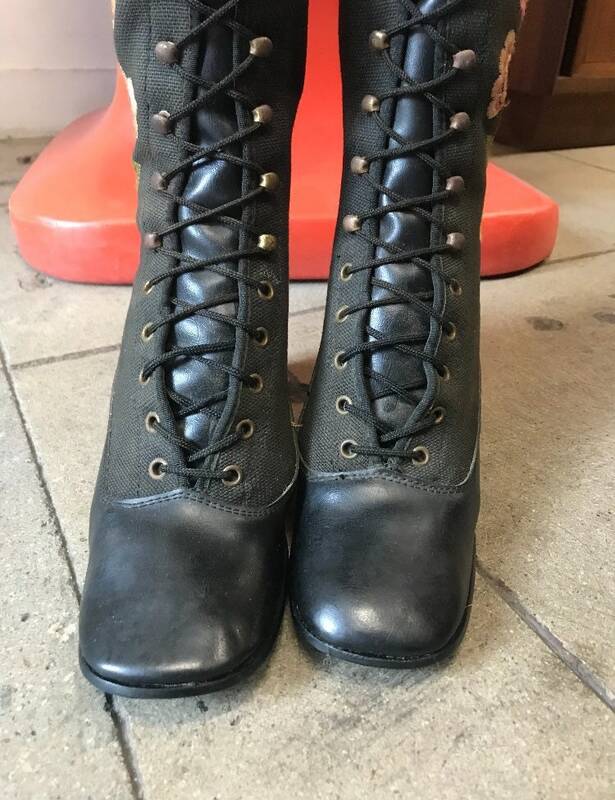 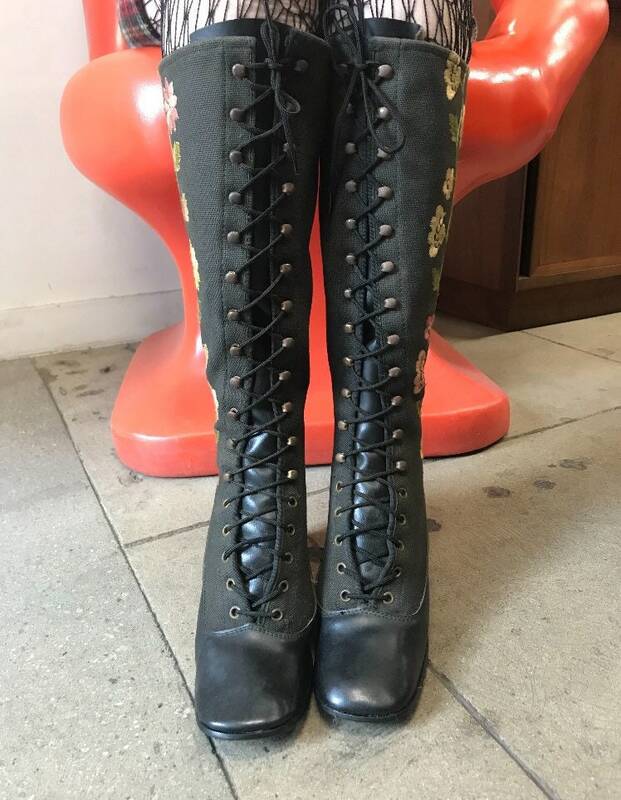 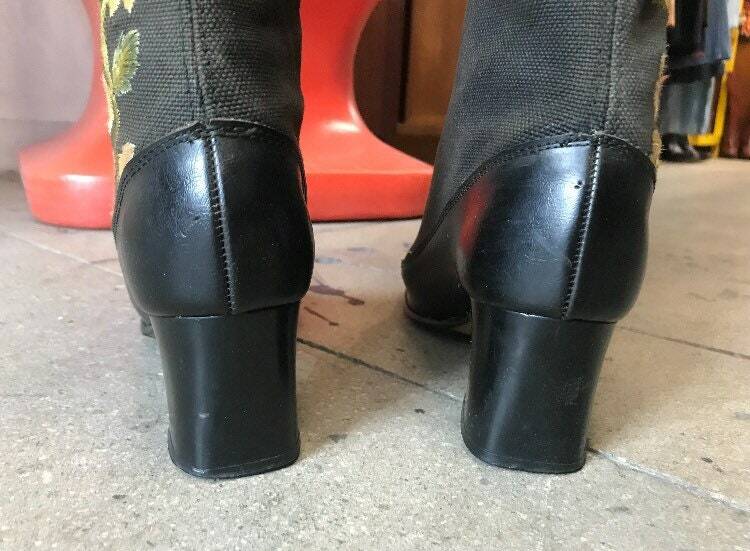 Rare and phenomenal seventies embroidered knee high lace up boots. 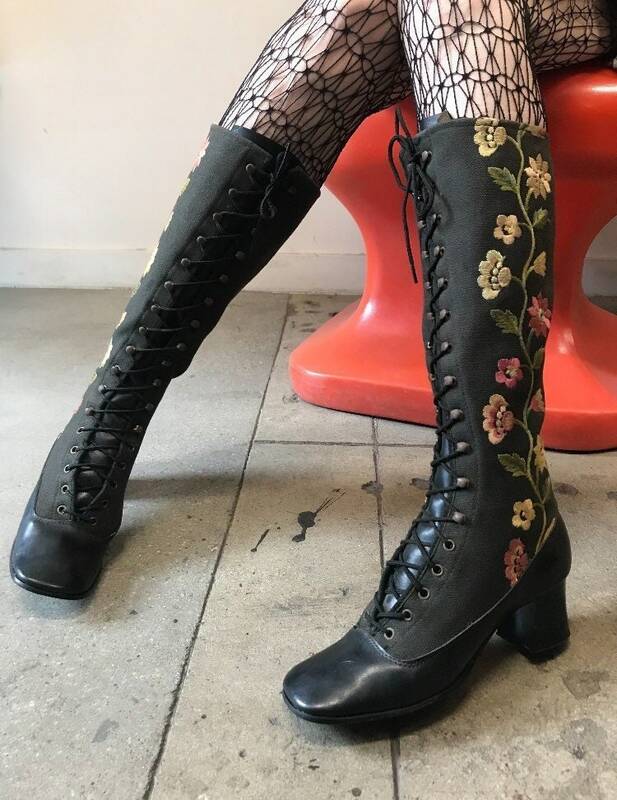 Made from leatherette and canvas. 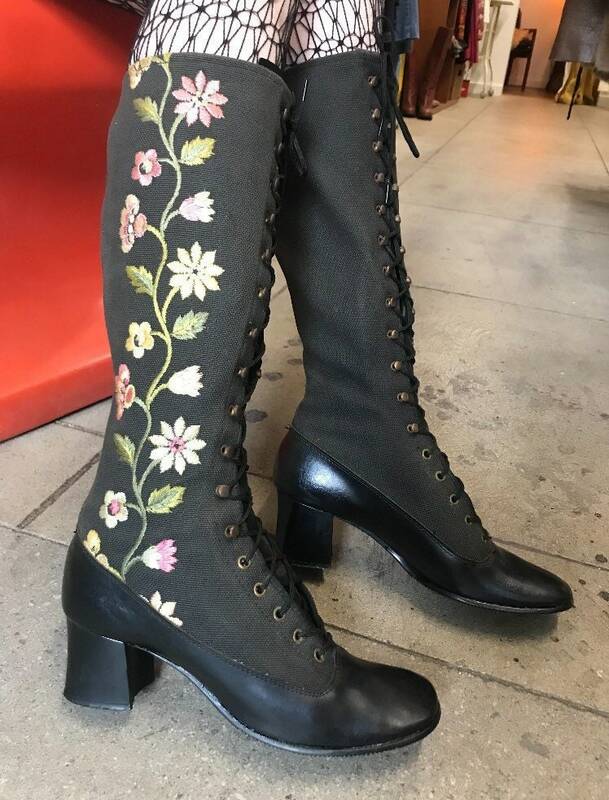 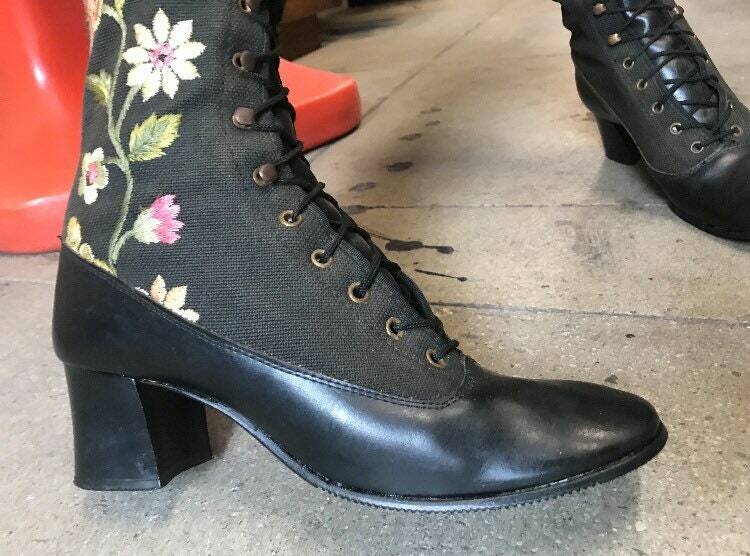 The embroidery on the sides of the boots are stunning. 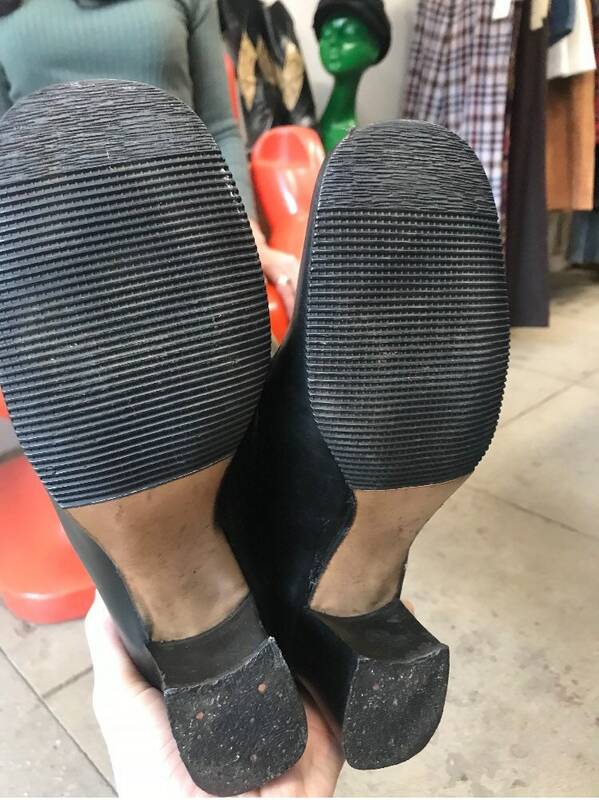 These are in incredible condition. 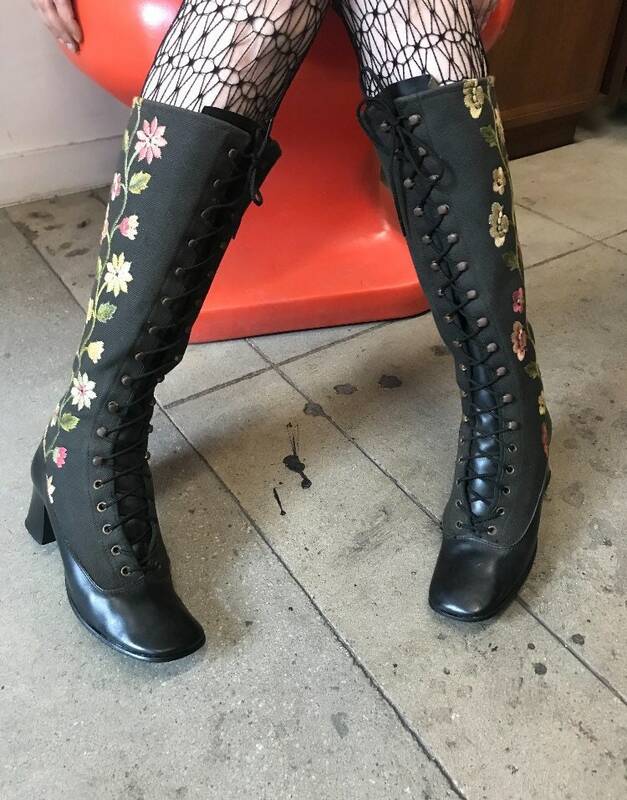 This is real ‘70’s fashion history that you can walk around in and look amazing.